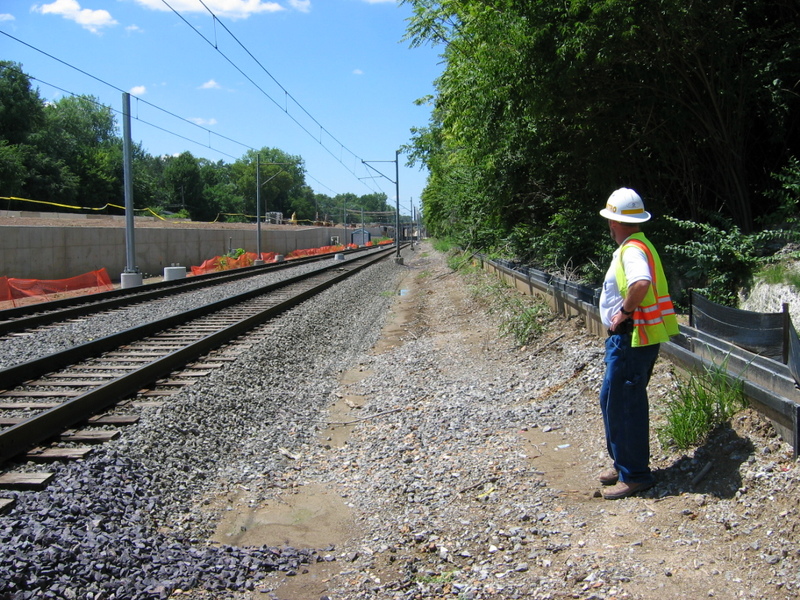 Updated (Oct. 16): Scheduled track work for Friday has been cancelled as work was completed ahead of schedule. Update (Oct. 14): Revised scheduled work maintenance start time for Thursday, Oct. 15. Maintenance work on the MetroLink system scheduled October 12-18 may result in delays for some Red Line and Blue Line MetroLink passengers. To accommodate crews replacing wooden rail ties and making repairs to tunnels in downtown St. Louis, MetroLink will operate on a single track at several stations next week, and Blue Line MetroLink trains will not serve all Blue Line stations next weekend. On Monday through Thursday (October 12 – 15) from 8 p.m. until end of service, MetroLink will operate on a single track at the Delmar Loop and Forest Park-DeBaliviere MetroLink Stations. Passengers traveling in both directions will need to board MetroLink trains from the westbound platform of the Delmar Loop MetroLink Station. Red Line and Blue Line passengers may experience delays of 5 to 10 minutes during this single-track operation. On Saturday and Sunday (October 17 & 18) from the beginning of service until end of service, MetroLink will operate on a single track at the Stadium, 8th & Pine, Convention Center and Laclede’s Landing MetroLink Stations, and Blue Line MetroLink trains will only operate between the Shrewsbury-Lansdowne I-44 and Forest Park-DeBaliviere MetroLink Stations. Blue Line and Red Line passengers may experience delays of 10 to 15 minutes during this single-track operation. What’s the time line on the completion of the pedestrian walkway at Brentwood, the worked started July 27, I thought it was to be completed in two months. It appears to still be ongoing can you give an update. The barricades are up and down on different days? Thanks. Kelly, I don’t have a completion date for you at this time, but here is what I can tell you. After work began on the new walkway, it became apparent that the retaining wall adjacent needed repairs. The City of Brentwood, who is managing the walkway project, is moving forward on the retaining wall repairs at this time.